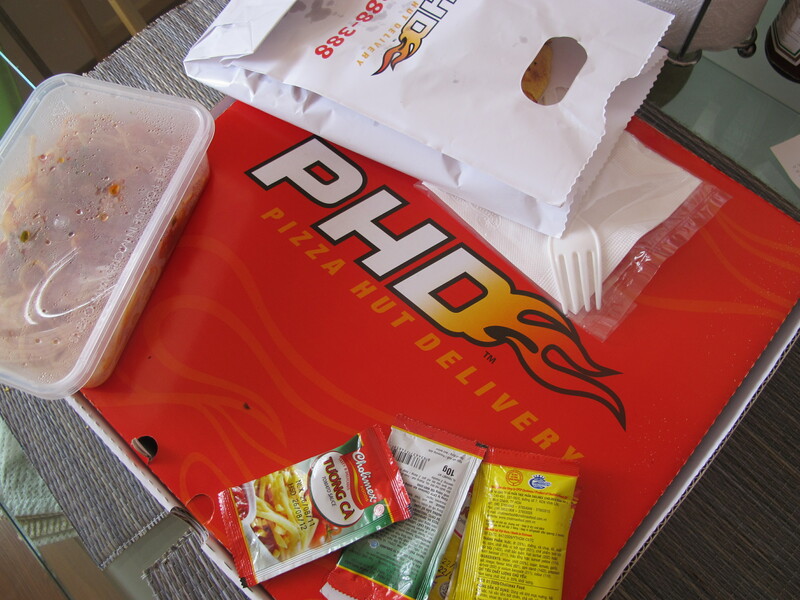 Trying Pizza Hut Delivery | Hello Saigon! ← Time to Schedule a Board Games Night! 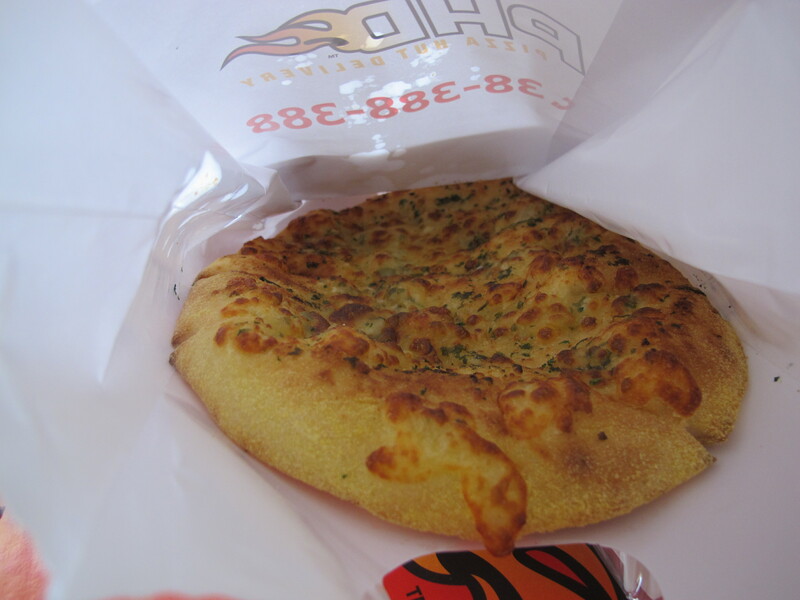 Pizza Hut finally opened in Sky Garden a couple of weeks ago. 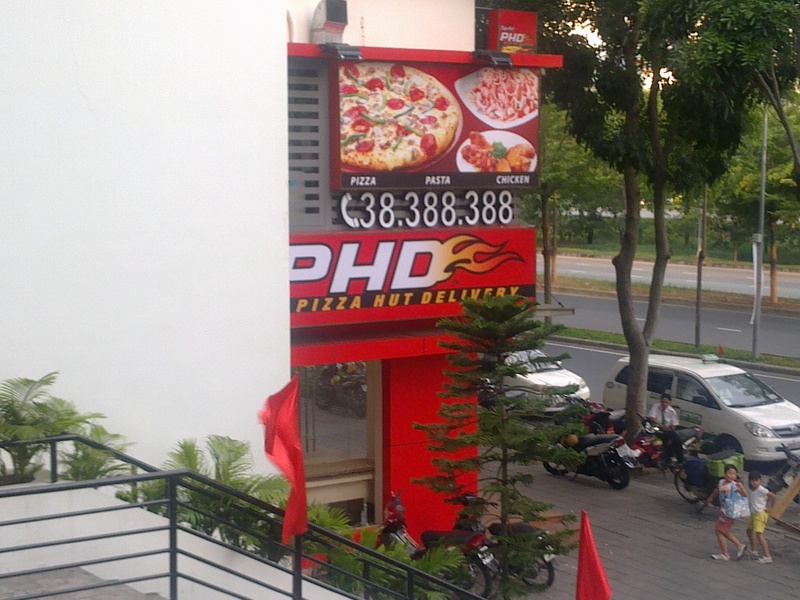 Like I said before, we really didn’t need another pizza restaurant opening up in this part of Saigon. And would you believe that we’ve been living here for over two years and have never tasted a Pizza Hut pizza? Never. 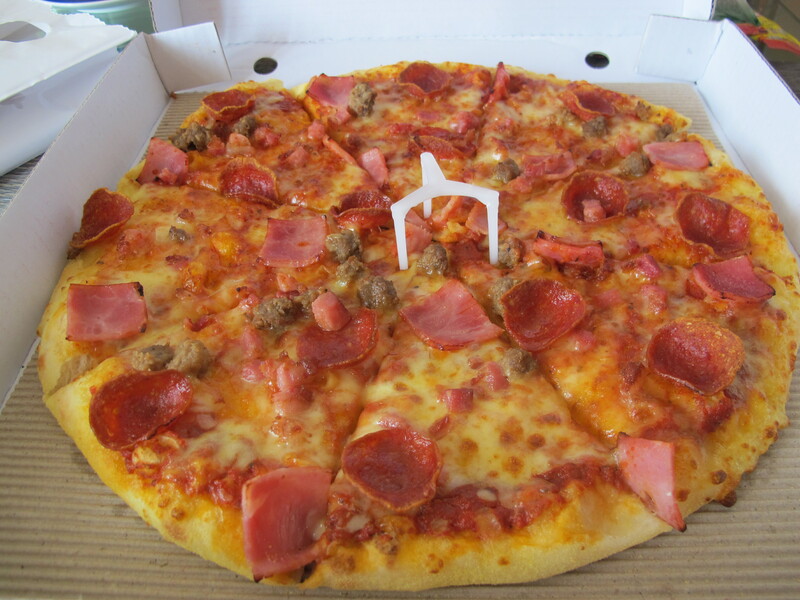 We have visited Pizza Hut in Lotte Mart twice but never ordered pizza. Their other dishes are good too like the salad, the calamari and the pasta. So sometime last week, we decided to try out the delivery service of Pizza Hut especially since Sky Garden’s outlet is just 10 minutes away on foot. What happened? They were over an hour late! Can you believe that? They have an outlet 10 minutes away and they were late for over an hour!!! Well, for one thing, they wrote down our address incorrectly so they were knocking on somebody else’s door 2 buildings down from ours. This is the reason why Domino’s Delivery works. Their option to place your delivery online is genius especially in a non-English speaking country like Vietnam! But just being fair, they delivered an extra cheese pizza for us because of the confusion — which added to their being more late because they had to run back to the outlet to get the freebie — or was it because they knew they were late already? Nothing spectacular though. So sorry. It’s just that lots of pizza are better here. Scoozi for one. But I have to admit their other dishes are pretty good though. Call them up at 38.388.388. Just make sure they got your address correctly! This entry was posted in Gastronomic Delights and tagged Pizza Hut. Bookmark the permalink.